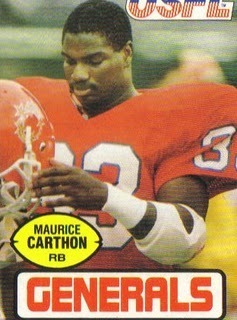 Maurice Carthon came to the USFL out of Arkansas State, where they ran the wishbone. 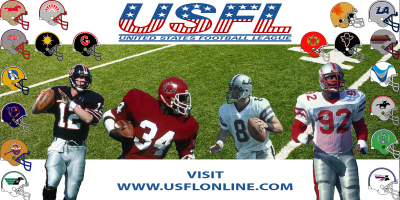 “The USFL gave me the opportunity to work on the skills that I didn’t have as a pass receiver and blocker,” says Carthon, who had interest from the Seahawks and the Dallas Cowboys, before he decided to join Herschel Walker in the backfield in New Jersey. After the 1983 season, real estate tycoon Donald Trump bought the Generals and the “Don” became a national figure. Trump, in all his decadence, opened up the vault and signed NFL veterans like QB Brian Sipe and offensive lineman Dave Lapham on offense – two playoff-tested veterans from the AFC Central.